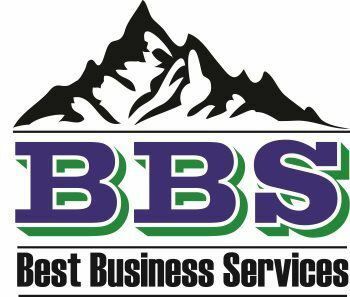 BBS provides companies with full service property tax assistance with superior property tax expertise that gives our customers the knowledge and resources they need to reduce property taxes, get various properties reassessed, and manage their tax situations. Our property tax experience allows us to help our clients with their industrial, residential, personal, multi-residential, and commercial property tax needs. Our tax professionals have experience with a variety of different industries and have an in-depth understanding of all aspects of property taxes. The BBS team has substantial experience in property tax services and come from various backgrounds in communications, tax, law, communications, finance, management, and business. We provide exceptional property tax services to help our clients lower their property tax obligations thus saving them substantial amounts of money. Property taxes sometimes referred to as millage taxes are a governmental levy on personal or real property that the owner is required to pay. Usually, the property tax is levied by the state or local governing agency of the jurisdiction in which the property is physically located. Sometimes, multiple jurisdictions may tax the same property. Generally property can be separated in to four basic types: intangible property (like trademarks, goodwill, copyrights, etc. ), land, improvements to land (immovable items such as buildings and permanent fixtures), and personal property (items that are movable like vehicles, computers, equipment). Real property or real estate usually means the combination of land and improvements to land. Under a property tax system, the government requires and/or performs an appraisal of value of each property, and property tax is assessed as a percentage of that value. Different cities, states and countries use various different forms of property taxes. In most cases different types of property are put into various classifications and the property tax amounts are based upon the classification. Examples of different classes of property are inventory, office supplies, heavy duty equipment, vehicles residential real property, commercial real property, leasehold improvements, industrial real property, retail real property, and vacant real property. With all the different jurisdictions, classifications, and tax requirement, the taxation process can be quite complex and daunting, but BBS can take away the hassles and take care of all your property tax requirements. Quality: BBS provides its clients with strict compliance to tax authorities and internal requirements while lower tax obligations. Customer Service: Our tax professionals are eager to answer your tax questions and help your business.